Thank you for your tremendous support of Husky Athletics in 2017. Thanks to your gifts, including the donation you make when you purchase your season tickets, we are building champions in competition and in life. We want to make you aware of an important change in U.S. tax law as a result of the passage of the Tax Cuts and Jobs Act. This new law will go into effect January 1, 2018. 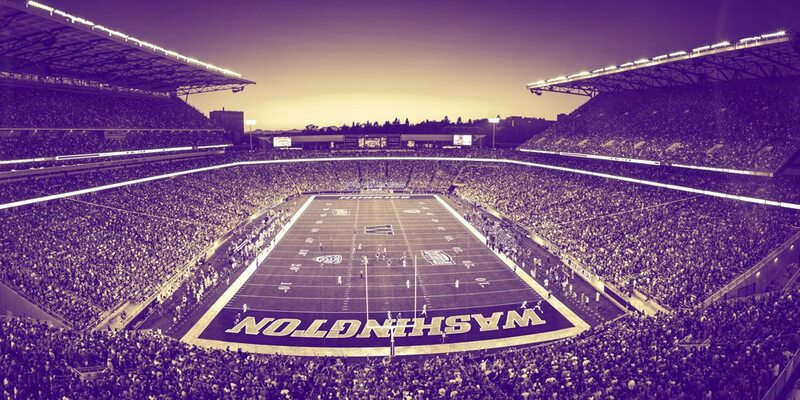 Prior law allowed you to take up to an 80-percent charitable deduction for your seat-related gifts to Husky Football and Men’s and Women’s Basketball. The new tax act entirely eliminates this charitable deduction. In response to this significant change, we are offering you a one-time opportunity to make your year-end, seat-related gift for 2018 seating purposes. Through December 31, 2017, we will accept seat-related gifts for the 2018 Football and the 2018-19 Men’s and Women’s Basketball seasons. You may make a one-time lump sum gift, before December 31, 2017 that will be receipted for the 2017 tax year. The funds will be put in a holding account and then allocated accordingly once your seats are selected in early 2018. You can determine your gift size by estimating what your seat-related giving would be for the 2018 season(s). If your donation exceeds your 2018 seat-related requirement, we will dedicate the additional donated funds to support The Competitive Edge Fund following the seat selection process. Excess contributions cannot be refunded. Review the FAQ section below for important details. Thank you again for making 2017 an amazing year for your Huskies. We look forward to your continued support in 2018, and will continue to update you on the potential impact this new tax law. P.S. Ensure your gift counts towards the 2017 tax year. We encourage you to give online and before December 28 to ensure timely processing. Q: If I pay my seat-related donation now, will that guarantee my seating location for 2018? A: These gifts do NOT determine or guarantee any seat location. This is an option being offered to give you the chance to receive a tax credit before the new tax legislation takes place in 2018. Q: By paying my seat-related donation early, will that help me earn priority points for the upcoming seat selection? A: These gifts will NOT earn priority points or appear in your online donor account until they are moved into the appropriate allocation areas after seat selection. Q: If I over pay or change my mind can I get a refund? A: There are absolutely NO REFUNDS for any gifts to this holding account before or after seat selection. Gifts made in excess of the seat-related gift due after seat selection will have the balance transferred to The Competitive Edge Fund. Q: Which sports and seasons can I pre-pay my seat-related donation? A: Gifts can be made for the 2018 Football season as well as the 2018-19 Men’s and Women’s Basketball seasons ONLY. Please note there are no multi-season gifts allowed. Q: Can I use a payment plan to pay for my donation and still get the tax credit? A: Unfortunately, no. There are no payment plan or recurring gift options. You must make your payment in full. Q: What date must I turn in my seat-related donation by to ensure I get the tax credit? A: This opportunity is only available online and until December 31, 2017. We encourage you to give early to ensure timely processing. Q: Is the deadline the same for corporations? A: For corporate donors, the new rules go into effect on the first day of the corporation’s tax year beginning on or after January 1, 2018. Q: Will seat-related gifts still be required this year should this legislation pass? A: Should this legislation pass, donation requirements will still be required for all Football, Men’s Basketball, and Women’s Basketball season ticket holders for designated sections. A: Gifts can be made online now.